“I think for the most part we’re through with the worst of the infrastructure issues” : this what David Zuchowski, CEOr of Hyundai Motor America, said to Wards Auto in an interview. The Korean brand’s manager in the US expects roughly 40 stations to be open by year’s end in California. 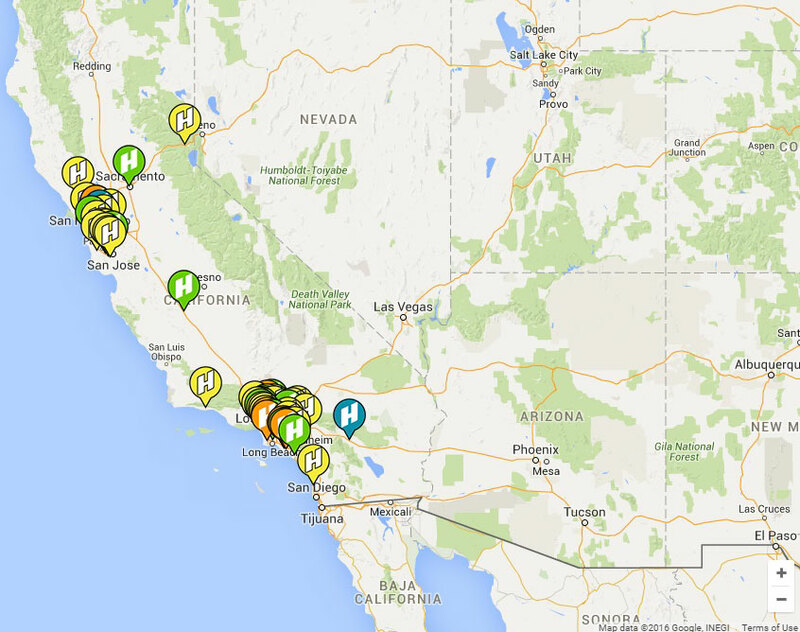 According to the CACFP (California Fuel Cell Partnership), only a dozen stations* are available in the Golden State. But, 30 retail stations are in the permitting process, with some expected to open soon, such as a station near San Diego slated for a Feb. 28 startup. Future stations locations include LA airport, Hollywood Boulevard and Pacific Palissades. Hyundai still is leasing the Tucson solely in Southern California, but it is formulating plans to begin sales in the northern part of the state, as the network of H2 stations expands.